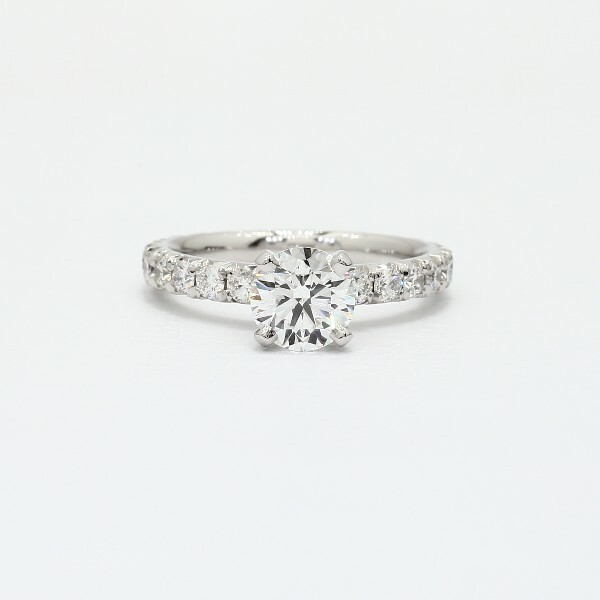 French pavé-set diamonds refers to tiny "Vs" that have been cut into the prong settings to reduce the amount of metal and to give the appearance of a continuous row of diamonds. This platinum ring, from our Blue Nile Studio, features a trail of diamonds all the way around the shank and is a gorgeous way to compliment the center stone of your choice. No sizing parameters apply due to style.